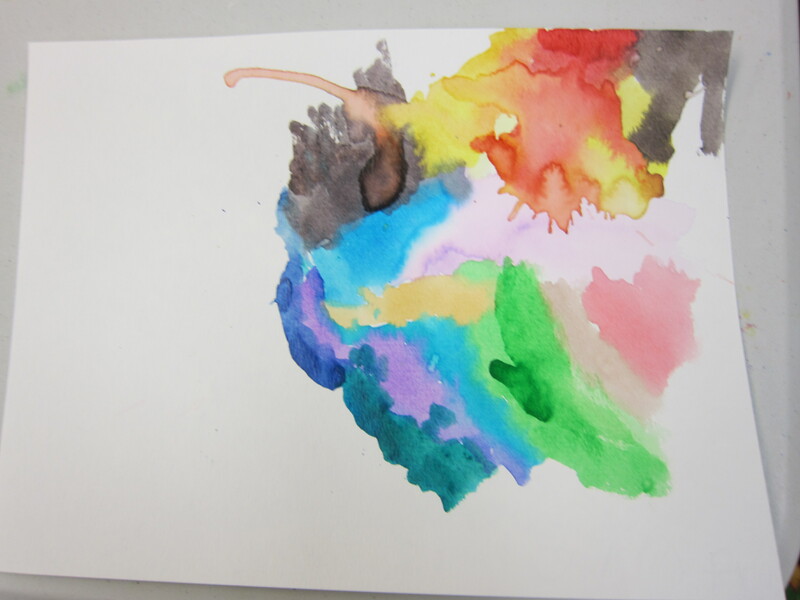 For the second stage of our Eric Carle Art Adventure, we used watercolors on heavy paper. I gave kids the choice to draw something first, or just paint and draw and cut out a creature next week. Most of the kids just went ahead and painted. We talked a bit about how the watercolors were different than the acrylic paints that we used for the backgrounds. Next time, they’ll add details with colored pencils and cut out their characters.